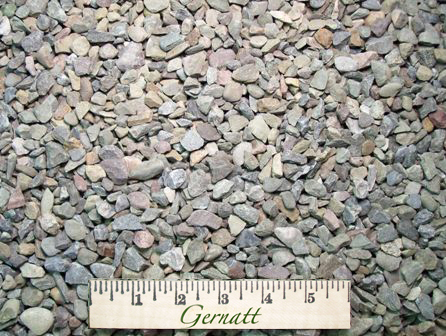 This primarily 1/2″ clean, crushed gravel with a top size of 1″ is great for driveway topping and drainage applications. As a driveway topping it works best on firm but slightly muddy drives or parking areas. It works well for drainage around perforated pipe or under concrete slabs. It is commonly used for pipe bedding on construction projects. It is attractive and colorful when washed or rained on and makes a good landscape cover.